Let’s face it. Planning and budgeting for transportation is one of the least exciting agenda items to check off on your vacation planning to-do list. Compared to the thrill and excitement of securing dining reservations, a resort stay, or park tickets, who really wants to spend their night analyzing rental car options? To make matters worse, booking a rental car can be a colossal pain in the neck. With so many different options, finding the right balance of convenience and savings can be hard. 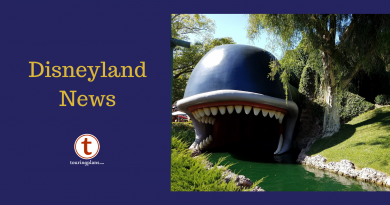 So here are some factors that I tell people to consider when renting a car for their Walt Disney World or Universal Orlando Resort vacation. First, evaluate whether you even need a rental car. Guests staying entirely within the Disney bubble probably don’t need one. Disney’s Magical Express can take you to or from the Orlando International Airport (MCO), and Disney buses can take you back and forth between parks and resorts. With the addition of express transportation, park to park trips are even easier now as well. Grocery delivery services like Garden Grocer or Amazon Prime Now are a great alternative to spending precious vacation time on a grocery store run. And if you need a few trips elsewhere, say from resort to resort for a dinner reservation, car services like Uber or Lyft will typically be more cost effective than a rental car. The answer isn’t quite as clear for stays off Disney property. Without the benefit of Magical Express, you are left to your own devices when trying to find transportation to and from the airport. Compounding the issue is the fact that UberX cannot legally pick up from the Orlando International Airport. You may luck out with a hotel that offers a free shuttle between the hotel and airport. If not, your options are limited to shuttle services, taxi and town car services, or more expensive versions of Uber. And that is just to get to the hotel. You still need to factor in the cost of transportation to and from anywhere you want to visit on vacation. Many hotels offer free shuttle service to and from the parks, but they’re not always reliable or convenient. The one bit of good news is UberX can drop off at MCO, so they will typically be an inexpensive option for getting back to the airport. As always, there are exceptions to the rule. Relying on Uber or Lyft may not be the most practical option for certain people, particularly those traveling with kids or those with special needs like a wheelchair or scooter. Larger groups traveling together may also prefer to rent a bigger vehicle that can accommodate the entire group, rather than pay extra for UberXL or split the group between multiple cars. And if your plans include traveling outside the Orlando area, renting a car is more than likely the best option in that case as well for both value and convenience. Start with third party comparison sites like carrentalsavers.com that let you compare multiple rental agencies and car types in one spot. If you have a membership to places like Costco or AAA, check those as well. This should give you a reasonable estimate for the price of a car with minimal effort. If you’re short on time, then simply pick the best option for you and move on to better things, knowing that you paid a fair price. If you’re a bargain hunter, then start searching for deals or discounts that you can add on to reduce the price even further. Each rental agency typically lists their discount codes on their site. You should also be on the lookout for discounts for third party members, like AAA or airline loyalty programs. Mousesavers.com is a great resource for finding additional discount codes. Do an apple-to-apples comparison. Some rental car agencies include perks that others don’t. If you plan to add a second driver for example, you’ll need to add that cost in to the rental price when companies don’t include a second driver for free. Also note that some companies ask if you want to add an additional driver for an additional cost while breezing over the fact that they let spouses be a second driver for free. Make sure you read the fine print so you’re not overpaying! Don’t forget to account for the indirect costs of a rental: gas, tolls, taxes, and potentially parking fees. Guests staying onsite at Disney resorts won’t pay for parking. However, other local hotels charge for parking, including Universal Resort hotels. Bring lots of quarters or single dollar bills with you for tolls to avoid using the rental company’s toll transponder unless necessary. Most companies add on a daily fee on top of the toll costs for the transponder, even if you only use it once. Consider the potential savings opportunities of a rental car as well! 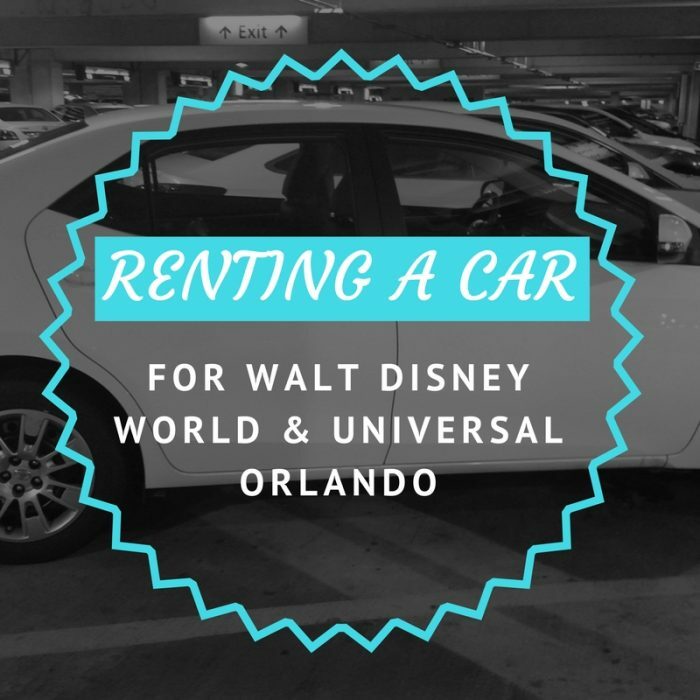 You don’t necessarily need to fly into MCO if you’re renting a car. Some people save enough to pay for the entire car rental by flying into a different airport. 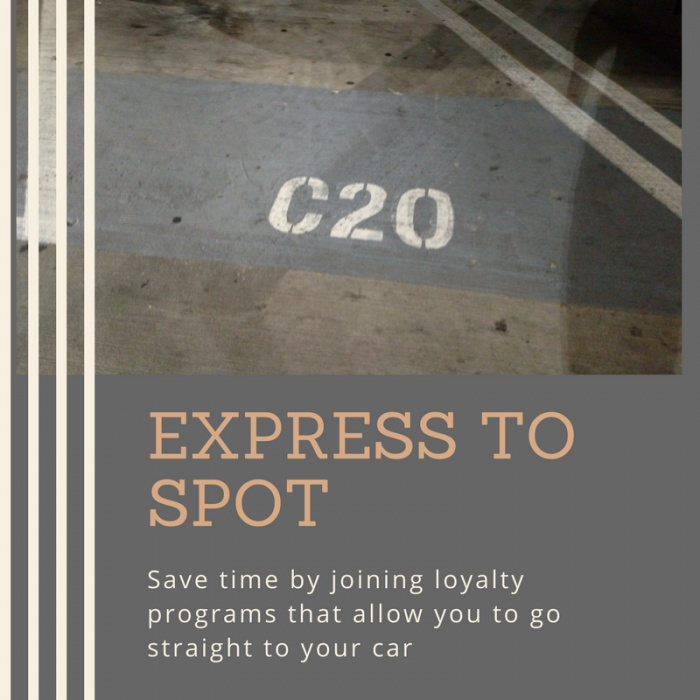 A rental car also makes it more convenient to eat at less expensive restaurants or shop at discount stores off Disney or Universal property. Anybody up for an Outlet Trip? The last thing you want to do is spend half your vacation trying to get your rental car. Look for agencies located onsite at the airport, so you don’t need to take a shuttle anywhere. Also consider joining loyalty programs. Many of them include an express check-in option in addition to access to deeper discounts. If you only need a rental car for a portion of your trip, check the pricing for rental locations near your hotel. Disney guests can easily access rentals at the Car Care Center, The Dolphin, and in the non-Disney owned hotels across from Disney Springs. I’ve personally found the pricing at the airport to be so much cheaper that it makes sense to rent from there for the entire trip instead of renting from one of these locations for just a portion of the trip, but your mileage may vary. Recheck the prices occasionally. I saved over $100 on a recent week-long rental by rebooking a couple weeks out from my trip. If your trip is still more than a few days away, it’s usually a pretty easy process to cancel your original reservation and rebook at the lower price. What do you usually do? Do you typically rent a car for your Orlando vacations, or do you prefer to let others do the driving? Any other tips or considerations that I missed? Let us know in the comments below! According to the Uber website all types of Uber rides are now available at MCO. Oops, you are correct. Its only UberSelect and UberFamily. Yep! And according to a recent Orlando Sentinel article, UberX and Lyft may be eligible beginning as early as July 1 due to new state laws. Definitely worth keeping on the radar, thanks for the comment! Try Autoslash.com. They constantly monitor the reservation you make through their site and rebook if they find a better price automatically. I saved 50% on a reservation on my last trip when I reserved through their site and they rebooked 4 rimes for me as the rates droped. It doesn’t always pay off but it can pay off big. I’d never heard of them before, so I will have to check it out. Thanks for the tip! Since we always stay off site, we always rent a minivan. Even though there are only 4 of us, having the extra room to leave a case of water and snacks in there is nice. Even with Uber, like the ability tonjust get in my car and go. What we did realize though is that it was cheaper to Uber it to and from Epcot than it was to park there. That makes a lot of sense, especially for offsite guests. Having snacks nearby is always a plus! Thanks for sharing! Our last several trips we have done more than just Disney World, so having a car was pretty essential. 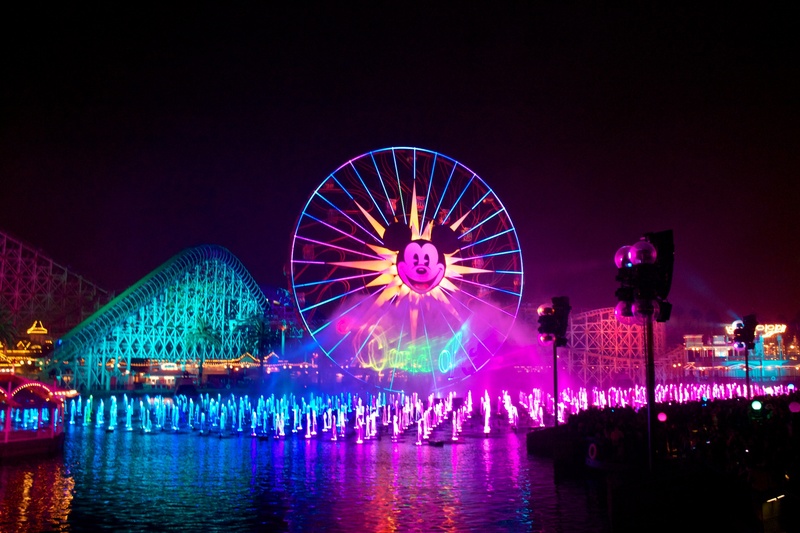 We have done Disney, Universal, and DCL in a couple of trips and most recently we did Disney, SeaWorld, and Legoland. I don’t think I’ll ever go again without renting a car. It’s pretty inexpensive and so much more convenient. On our most recent trip I rented a full size car from Dollar for 12 days for $200. I never pay for insurance (I just bring my own insurance card), don’t ever pay the toll thing (all the toll booths accept cash–just make sure you have some with you). If you’re staying on site at Disney, you can park for free at the theme parks which I prefer most of the time to waiting for buses, boats, or monorails. You also don’t have to leave for the Orlando airport SO many hours early by taking Magical Express. You are much more on your own time and schedule by having a car. Hi Tammi! A car definitely gives you more freedom, and at that price, I can easily see why you would prefer it. Thanks for commenting! My husband and I rent a car every time we go, even though we stay on property. It’s an extra expense, yes, but one we never regret paying. We can park free in the parks so park-hopping isn’t a problem, and we like the freedom of coming and going as we please (and I like not being trapped on a bus with lots of people, which is not one of my favorite situations to be in). It’s there where we need it, when we need it, and we can go off-property any time we want. In short, no downsides for us. I used to be one who would not consider renting a car. Changed my mind last year after we needed one. For anyone afraid, the roads are very easy to navigate with great signage and lanes marked everywhere (maybe too much so). I found it so much nicer to pick up and buy my own groceries than to depend on someone else to determine what looks good. And we had to availability to do other places, such as Universal, enough said. So glad we did! We always rent a car. I am always added on as an additional driver at no extra cost but never drive! Coming from the UK I am a bit apprehensive about driving on the right. I keep saying “this time I will have a go” but always chicken out – so my poor husband has to drive everywhere. Its turning left which bothers me! There are 12 of us going this year – it would be cheaper for us to get 3 small cars but would mean that my husband would be driving everywhere again – my vote was for a large vehicle plus a small one as we know we are not all going to stay together all the time – however, I have just Whats App’d the group with the suggestion of using Uber sometimes as this is a third option we hadn’t thought about! No matter what, I always get a rental car. I like to be able to make my own decision on where I’m going, how & when. Plus we have family near-by, so we need it so that we can visit with them too. If we are staying at a Monorail resort, we will use it or take a boat – that stuff is part of the fun so you can’t miss them! I only trust Alamo. I have tried other car rental places but they treat me the best & I like their policies on charges. I fill it up myself before returning or you will pay triple gas prices. I continually check prices & usually save more as time gets more close to the vacation time.